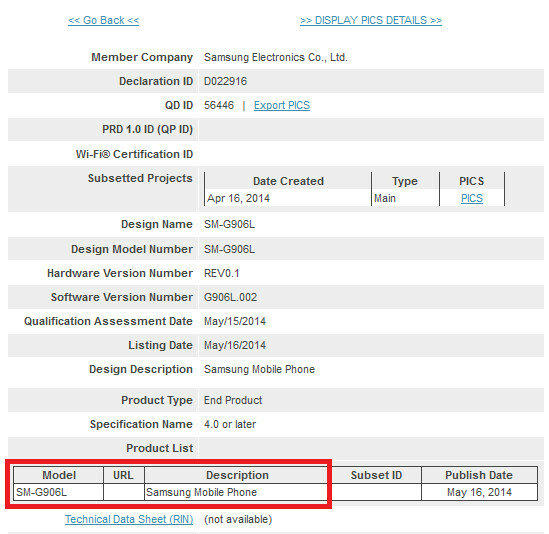 Samsung Galaxy S5 Prime gets its Bluetooth certification? With the Samsung Galaxy S5 setting a company record by selling 10 million units in 25 days, it is easy to forget the disappointment that many felt when the phone was unveiled in February. After numerous leaks about a 1440 x 2560 screen, Samsung delivered a device that carries a screen with a 1080 x 1920 FHD resolution. And despite the fervent wishes of many, the manufacturer again relied on a plastic build. While there had been a few leaks about a second, metal-cased version of the phone, rumors about a premium version of Samsung's new flagship handset starting taking off in earnest after the Galaxy S5 was unwrapped at MWC. In addition to a metal casing, this premium model was expected to feature the 1440 x 2560 QHD screen that everyone expected on the regular version of the phone. Called the Samsung Galaxy S5 Prime, over the last few weeks it has become apparent that there is some substance to the rumors. The latest information that points to the release of a premium edition of the Samsung Galaxy S5, is the Bluetooth certification for a Samsung phone with the model number SM-G906L. The SM-G906 reference has been seen before in conjunction with prior rumors for the Galaxy S5 Prime, with the the last letter being used as a country code. 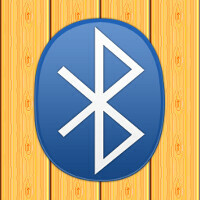 The Bluetooth certification is another sign that we are closer to the unveiling of a premium version of the Samsung Galaxy S5, with the phone expected to be unveiled next month. And this time we could get a 5.1 or 5.2 inch screen with the longed for QHD display, powered by a Snapdragon 805 chip, and perhaps featuring Android 4.4.3 out of the box. Thanks for being sarcastic. I'm just feeling remorse but I read it being better designed pjone. Other than that I'm happy with the specs! Trust me. You'd had that remorse even if you bought the S5 Prime as there would've been an even better device on the horizon. That story never ends. If you had GS5 Prime. You'd be sad that you didn't wait for Z3, Nexus 6 or Note 4. That story never ends ! Also, most likely GS5 Prime won't be company's 'flagship' (inspite of being better specs) and hence there maybe a chance that few years down the line you'd get poorer updates as Samsung is not that good at updates apart from its flagship. And pretty sure no matter how power efficient the new QHD panel is chances are your phone's battery will be much stellar. The Samsung SM-G906L is on its way to LG U+, The handset already listed on LG U plus website The Samsung SM-G906L / K / S will be available in South Korea Only!